My Hero Academia's third season was the biggest which most popular season of the series to date so now even more eyes will be on the unwanted fourth season. But when will it air?My Hero Academia has officially leaked that the fourth season of the series will officially being in October 2019. The series will be handing out special flyers during Jump Festa 2019 and each of them reveals the October 2019 start date for the season that seem like a double edged sword for most fans as October is a much longer wait than say a Spring or Summer start date. But it's not all doom and gloom either. 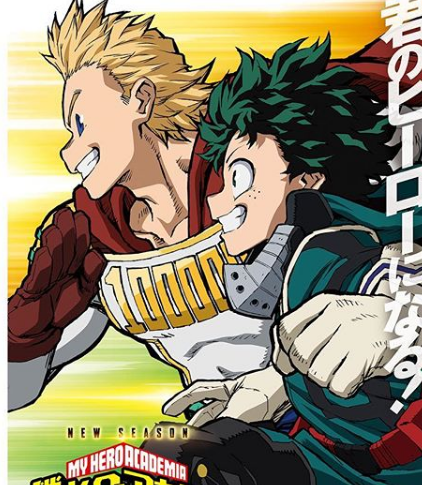 Although it seems like a long wait now, fans will come to appreciate the extra time spent on the season as it's quite an action-heavy one that is Adapting the Internship arc of the series, Season 4 will have one of the biggest battles in series history that seems like a huge statement considering Season 3 had the battle between All Might and All For One, but this arc.